As a teacher of violin lessons and fiddle lessons in Prescott, AZ Katie Peterson is outstanding. Additionally, she teaches the Celtic penny whistle. Katie Peterson has been giving private music lessons in Prescott, Arizona since 1992. Katie has extensive experience teaching young children up though adults. She incorporates the Suzuki method, from her childhood training, with traditional classical, from her studies at NAU. 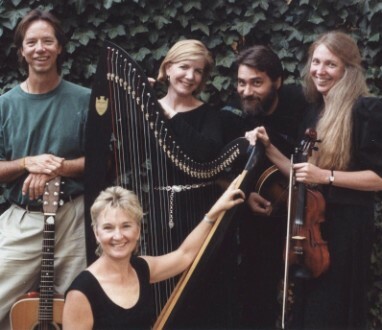 Celtic music of Ireland and Scotland, as well as traditional American fiddling are her specialties. Katie has performed with the Arizona Commission on the Arts throughout the state for over 20 years. She is part of the band "The New Potatoes" as well as the trio "Crosswind". You may reach Katie at 928-776-9824 or e-mail at katieandroy@gmail.com.